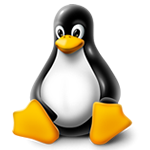 Linux is our most cost effective and powerful hosting and is a great solution for Home users, Business users and Website Designers alike. Whether you are building a single page or your running an E-Commerce website, we have a Linux hosting package to suit you. Our packages come with a multitude of one click install apps from content management and delivery software through to the likes of blogs and galleries. On our Business and Enterprise packages we offer Unlimited Disk Space so you can get as much web space as your website needs. On our Business and Enterprise packages we offer Unlimited Bandwidth, we take away the worry of going over a monthly limit. All our servers are hosted in our secure state-of-the-art UK data centre, protected by enhanced backup and security. Manage your hosting & email with the UK's most advanced web hosting control panel. We currently have a record on all our hosting plans and can guarantee a 99.9% uptime for the year. 80+ one-click installs, including WordPress, installed quickly from our wasy to use web hosting control panel. We are fully registered to develop and enroll Software and Apps into Apple, Google, Amazon, Windows & Xbox App Stores.